Explore the rich, touchable and textural qualities of encaustic wax. Spend the day creating tantalizing textures with oil pigmented wax, water and fire. Emulate textures from coral reefs to smooth surfaces, reminiscent of glassy lake water at dusk. Embed or press objects into wax that are personal to your story-charms, string, bottle-tops, branches and memorabilia. Practice enhancing textures with oil paint washes and rubs. Use blow torches and carving tools to create various surface marks and undulations. Take your art to new dimensions by learning to combine the ancient art of encaustics with modern photography and printing techniques. Participants will learn how to integrate a photographic image with encaustic through techniques such as layering, painting, and by making the original imagery translucent. We will also demonstrate how to experiment with various methods of manipulating the original photograph-including toning, distressing, and a variety of transfer techniques. Proper tools and safety procedures will be discussed. Explore the basics of the ancient art of encaustic painting. 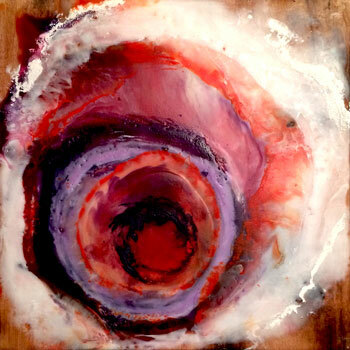 Encaustic painting uses a wax-based paint composed of beeswax and oil pigment. We will review safety issues, surface options, color mixing, layering, fusing with a torch, texture and more. This class is for students that have never used wax as a medium before or those that have just started out and want to further develop the technique. Discussions will include setting up a studio, supply resources, mixing colors, and painting molten wax. NO EXPERIENCE REQUIRED. CLICK HERE TO READ MORE OR REGISTER! 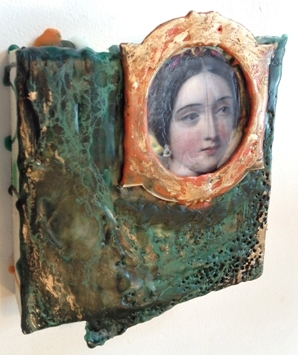 Artists will learn how to integrate a photographic image with encaustic through techniques such as layering, painting, and by making the original imagery translucent. We will also demonstrate how to experiment with various methods of manipulating the original photograph-including toning, distressing, and a variety of transfer techniques. Proper tools and safety procedures will be discussed. No experience required. A modern spin on traditional reverse glass painting using encaustic wax, fire and oil pastels to make rich abstract scapes. Challenge your perception of painting and composition by working in reverse. Explore creating beautiful marks, luscious shapes and the vibrant colors that only come by painting with wax and oil on glass. No experience required. 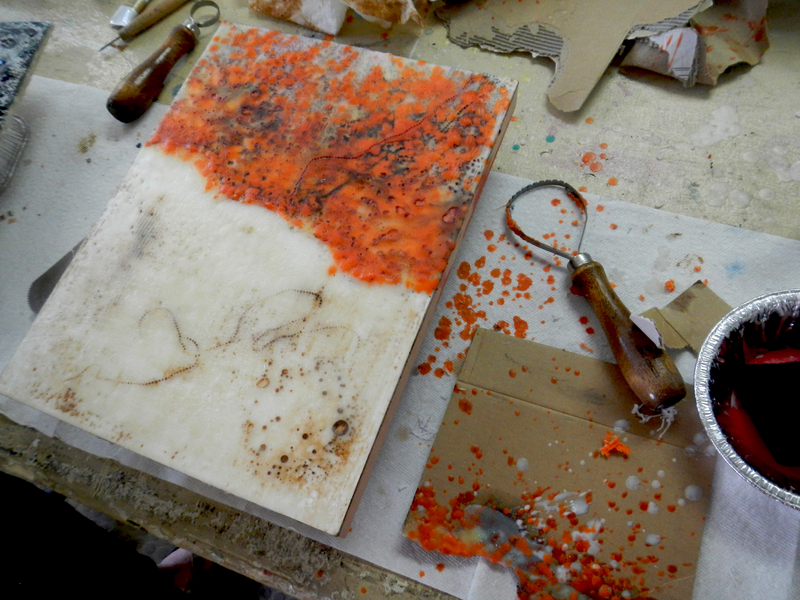 Explore the basics of encaustic wax painting. 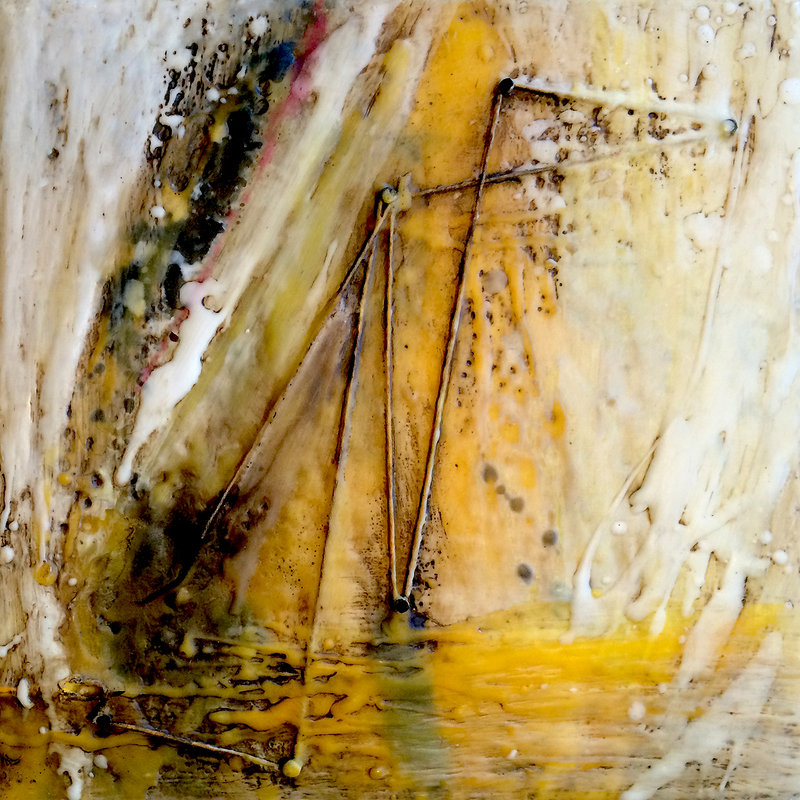 Encaustic painting uses a wax-based paint composed of beeswax, resin, and pigment. We will review safety issues, surface options, color mixing, layering, fusing with a torch, texture and more. This class is for students that have never used wax as a medium before or those that have just started out and want to further develop the technique. No experience required. If you are not redirected automatically, follow the link to event.